The Internet Archive Wayback Machine is a great resource for looking at the history of a website. The Wayback Machine crawls the web and keeps a snapshot of a domain or website and it allows you to easily compare different snapshots. Using the Wayback Machine is like looking at the different digital archeological layers of a website’s design. Using the Wayback Machine, I was able to dig up the original webpage hosted on google.com, yahoo.com, and facebook.com. The first record webpage hosted at google.com is simple page with two links. 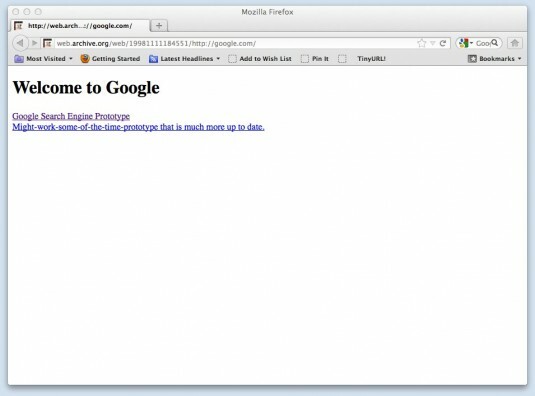 The first link, Google Search Engine Prototype points to google.stanford.edu. The second link points to another version of the search engine at alpha.google.com. 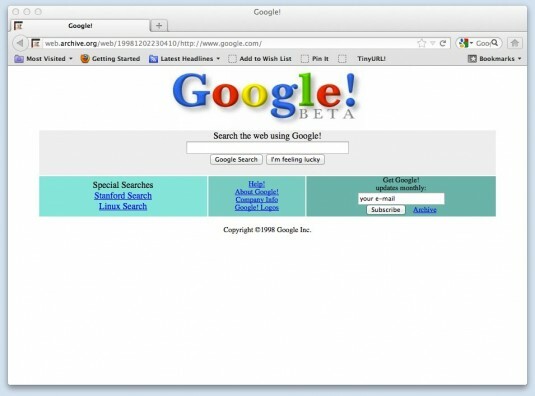 The first archive webpage at google.com that resembles a search engine was recorded on December 2, 1998. 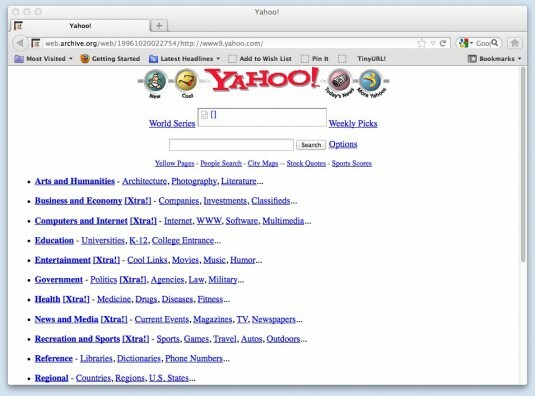 The earliest archived webpage from yahoo.com was saved on October 17, 1996. 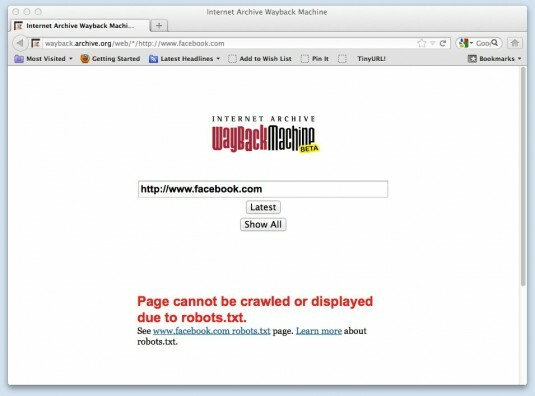 Facebook uses a robots.txt that doesn’t allow the Wayback Machine to crawl the site and as such there are no achieved versions of the site. This entry was posted on Thursday, July 26th, 2012 at 7:34 pmand is filed under . You can follow any responses to this entry through the RSS 2.0 feed. You can leave a response, or trackback from your own site.